Why have a breakfast rut, when it's so easy to pull together a quick mug cake? I love the convenience of throwing a few ingredients together and coming out with something special that mug cakes provide. 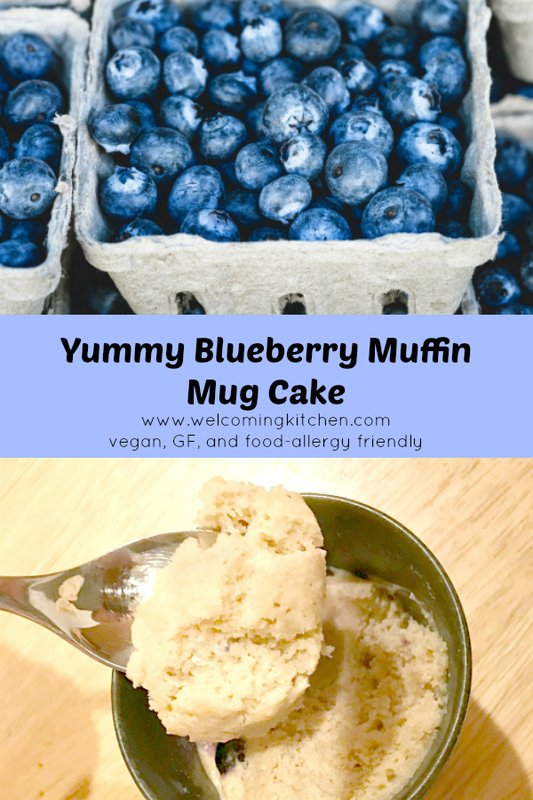 This Blueberry Muffin Mug Cake is vegan, gluten-free and food allergy-friendly, because it is free of the top-8 allergens. You can make as many or as few as you need, as each is a single serving -- no leftovers! While fresh blueberries are hit or miss at the grocery store where I live right now, when I don't have fresh, I can use frozen. I hope you enjoy this quick treat! Combine dry ingredients in a microwave-safe mug or small bowl. Add applesauce, syrup and vanilla, and stir until well combined. Microwave for one minute, 15 seconds. The cake should look moist, but if there is still liquid-y batter on the edges, cook for another 15 to 30 seconds. Let sit for two minutes before enjoying. 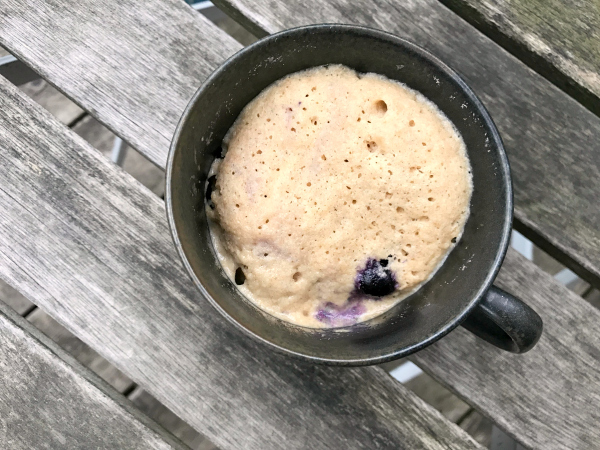 *Note: I have not tried this particular mug cake in an oven, but my guess is it will work if you bake it in a single-serve oven-safe bowl at 350 degrees for 15-20 minutes. A toothpick inserted in the center should come out clean when the cake is finished baking.